Please support the businesses that support your Pennsylvania Steelhead Association.
."My mission is to help you become the fly fisher you always wanted to be. I offer high quality, patient and effective coaching in all aspects of fly fishing so that when your "contest" with the fish occurs, you will be ready!! The schools are thorough and the on-stream instruction intensive. Class size is kept small so I can spend time coaching, perfecting each new skill, and increasing your knowledge and fish catching ability." The Ohio Central Basin Steelheaders (OCBS) fishing club is an association of fishermen which was formed in 1984 and is dedicated to the protection and promotion of steelhead sport fishing in Ohio and the Great Lakes region. OCBS has a great partnership with our state's Ohio Division of Natural Resources and their steelhead stocking program and we are a proud member of the Great Lakes Sport Fishing Council. 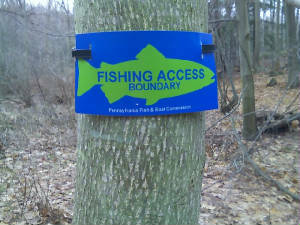 OCBS works closely with the Cleveland, Lorain, Ashtabula, and Lake County Metro Parks to provide fishing related programs which benefit the general public. Address: 3210 W 39th St.